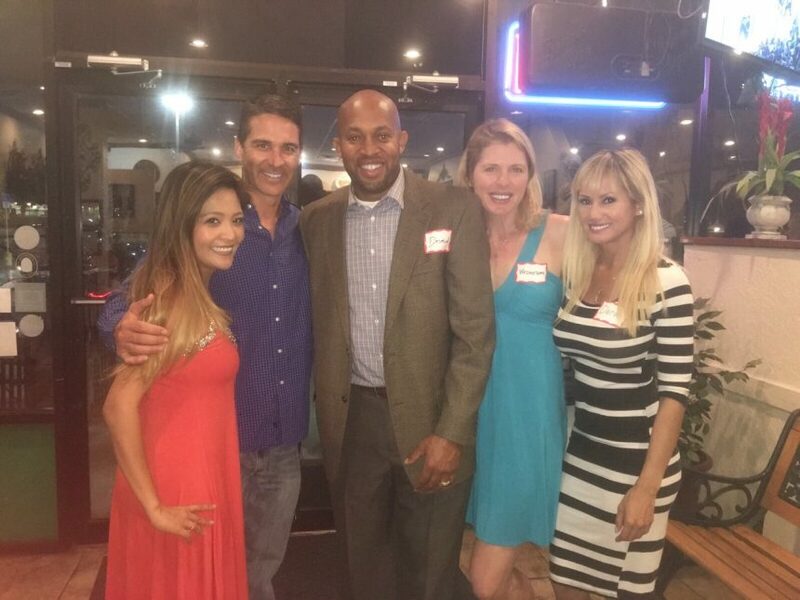 On Wednesday, April 26, 2017, the Foster Friends of Oviedo held a fundraiser to benefit foster children in five local group homes in our communities. The event was graciously hosted at Cafe Panuzzo in Oviedo, who generously provided restaurant space, meatballs and salads to the attendees. Bob Parker, a former BBQ reality show contestant, smoked a whole pig donated by Ronald Allan, a local pig farm owner. Additional amazing appetizers were contributed by volunteers. Emma Reichart, a Real Estate local favorite and creator of Oviedo Florida community group, donated raffle items. Dessert was served compliments of the Lemon Lily Tea Room. Desmond Taylor, Executive Director of Friends of Children and Families, was present. Over fifty attendees donated for the privilege of joining the event. As a result, over $1000 was raised in two hours. Everyone enjoyed incredible music by John Lofgren of the String Trio. And, because Foster Friends of Oviedo is a grassroots organization, comprised entirely of volunteers, 100% of the money raised will go directly to meeting the needs of these local foster kids. We want to invite you and your business colleagues to consider hosting or contributing to our next fundraising event. Click here for some ideas! Foster Friends of Oviedo is a grassroots Facebook community created by iPrevail director Wednesday Hugus. The first 5 homes being helped are run by Friends of Children and Families. For more info on the group please read the Xbox Story.